Home » Press Release – Naked Solar Wins Another Award! 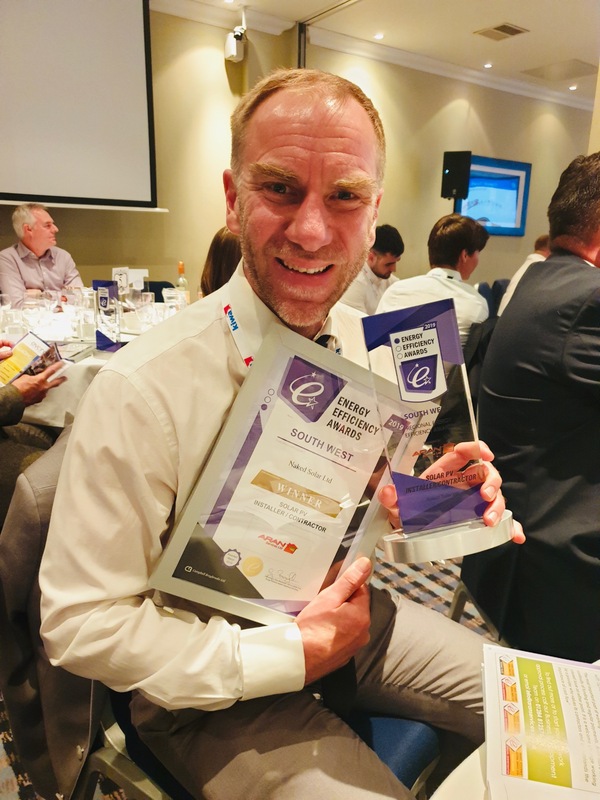 Newquay’s ‘Naked Solar’ wins Solar PV Installer of the Year at the South West Energy Efficiency Awards. Newquay, Cornwall based Solar PV experts, Naked Solar were shortlisted and won the Installer of the Year Award. One of only five companies across the South West to be shortlisted for this prestigious award. Their enthusiasm for the renewables industry and focus on putting the customer first has really shone through.